Tickets and guest list are now available. Really enjoy this get-together in Bristol - always a lot of fun! Amended poster and title of Thread. Steve MacManus, Lee Carter, David Roach, Mike Collins, Henry Flint, John Higgins, Boo Cook, Simon Davis, Dylan Teague, Dave Taylor, Clint Langley, Nick Percival, John Charles, Sally Jane Hurst, Dan Cornwell, Steven Austin, Paul Williams, Tom Eglington. Ha - cheeky title given Rebellion's refusal to let them continue calling it Lawgiver. It's a Dreddcon in all but name. Definitely one to be recommended - small and intimate, with great access to a fantastic line-up of guests. 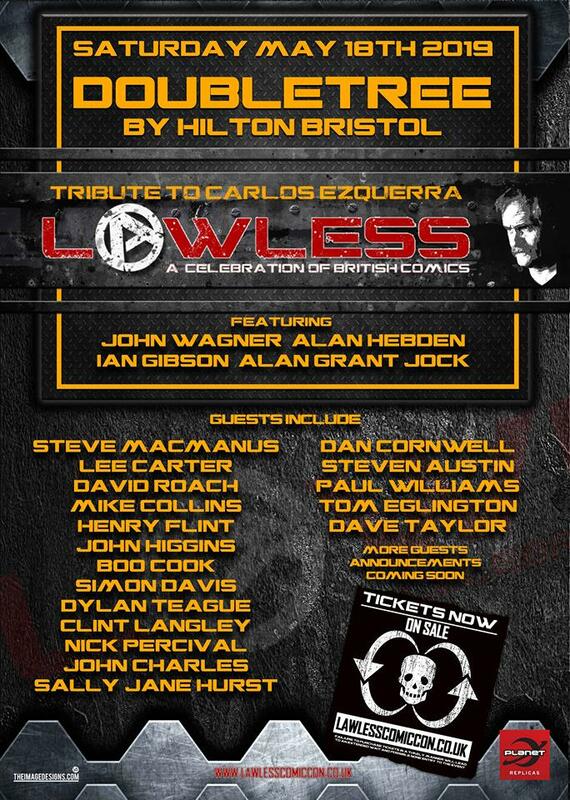 I've been going since the first one (in a sticky floored rock-club in Birmingham) and it's always a really good event. 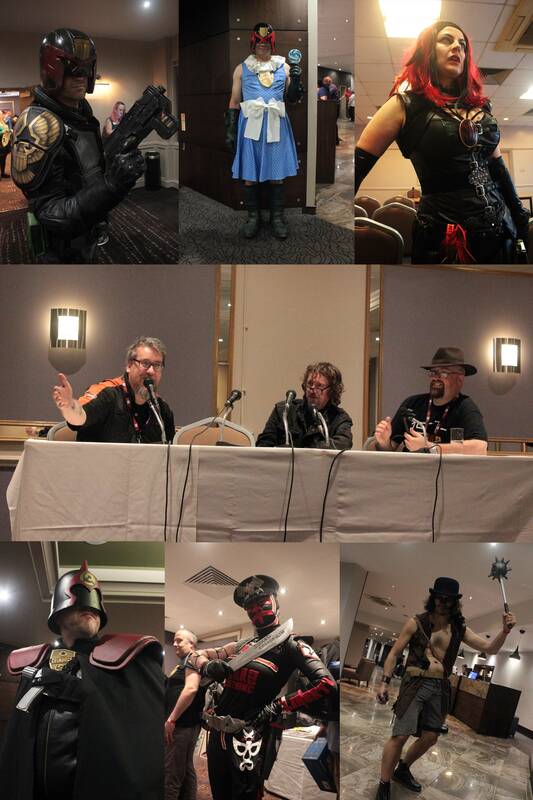 Props to Su and Iz and all the other organisers, and all the wonderful cosplayers (and those drunken bums from the DSCD). Yup, this is a cracking gig. I missed a couple but made it for last years event- and Bristol is a grand place for a gig. Heard good things about this event a while back so gonna give it a go, tickets and hotel booked . Even the good wife is looking forward to the trip down. Am I missing something or is the title of this thread wrong? Ah hell, I didn't even realise I got the wrong year! Sorry folks - any chance of an adjustment from one of the mods? Just to let folk know I've amended the thread title and the post in the OP. Are you telling me I bought this time machine for nothing…? Not at all- after all it explains how you were able to attend the Dredd screening with me and Dunk! a few years ago! I haven't been to any of the others. Seriously considering this! Absolutely worth considering, Mardroid - and attending! 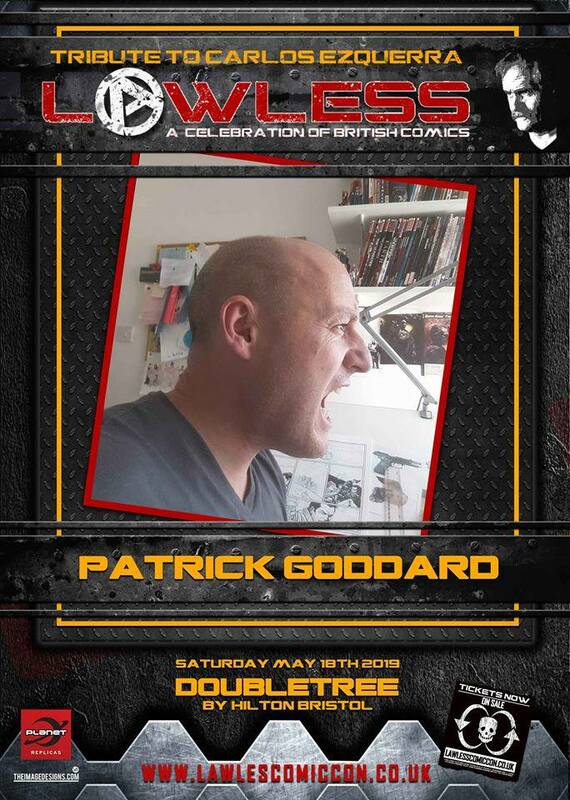 It's a great event - lot's of drinking, lots of laughs, lots of social interaction with the guests, artwork and merchandise to buy, costumers and props for photo opportunities. The weekend just goes too quickly and I usually feel the post-con blues when going home, but I'd be going home with signed artwork, happy memories and new friends made. I can't wait for May to come around! 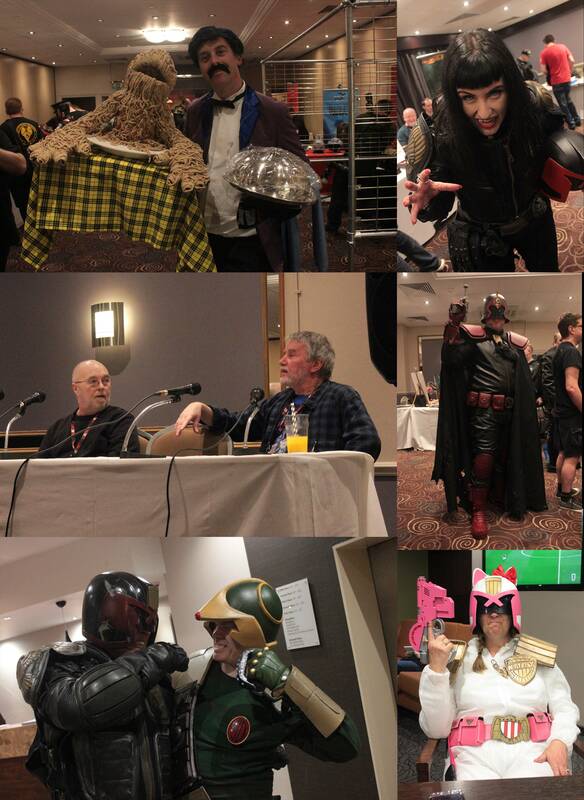 I've added some photos from last year's Lawgiver - they're not the best photos but they'll hopefully whet your appetite...! 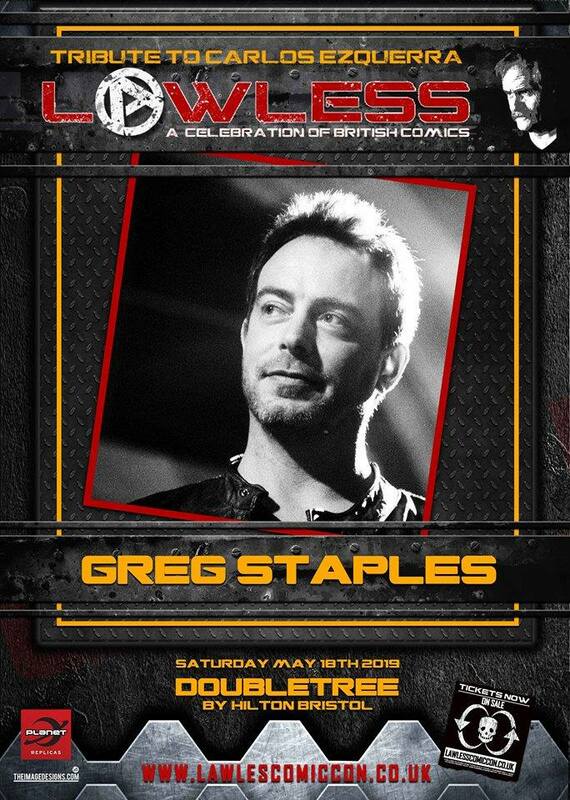 Another guest announcement - it's only bloomin' Greg Staples! Bet his table's going to be busy..!